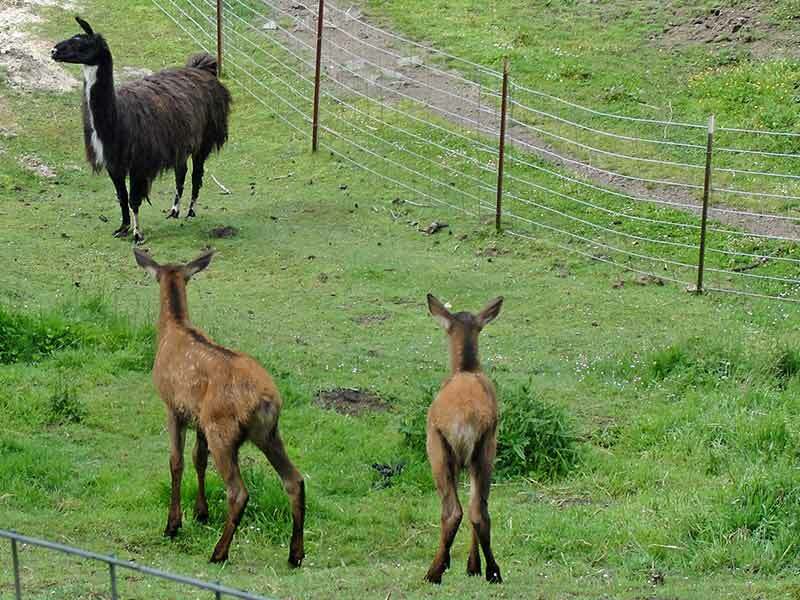 Here are a pair of elk calves in our lower pasture, trying to make sense of Joe Llama. 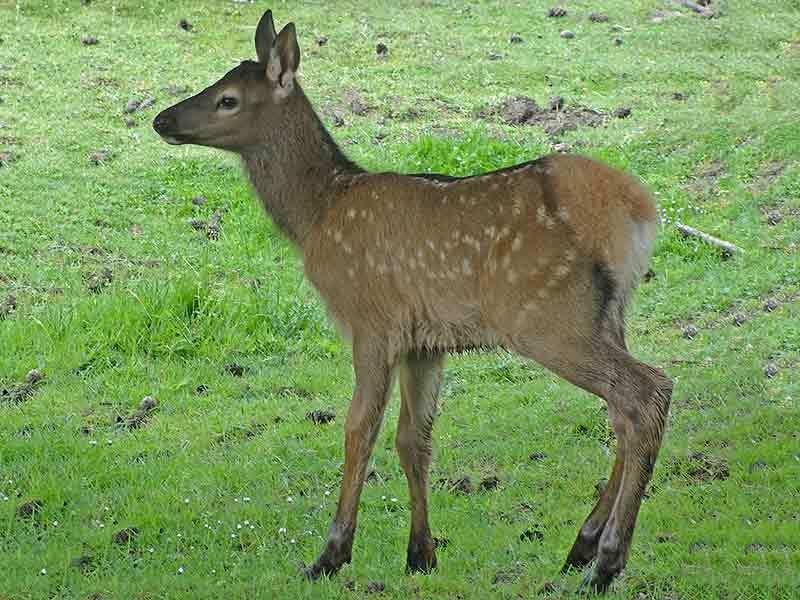 The calves are quite young and still have their spots. 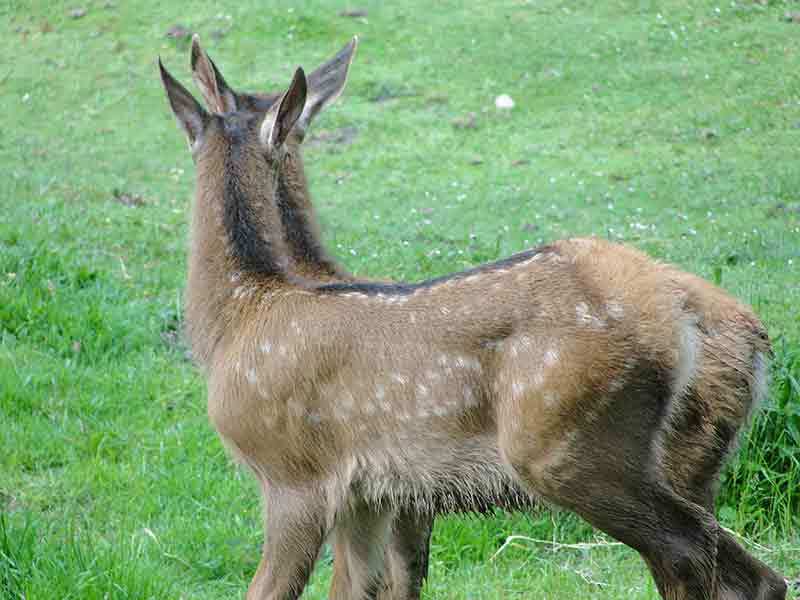 The spots disappear when elk calves are just a few months old. 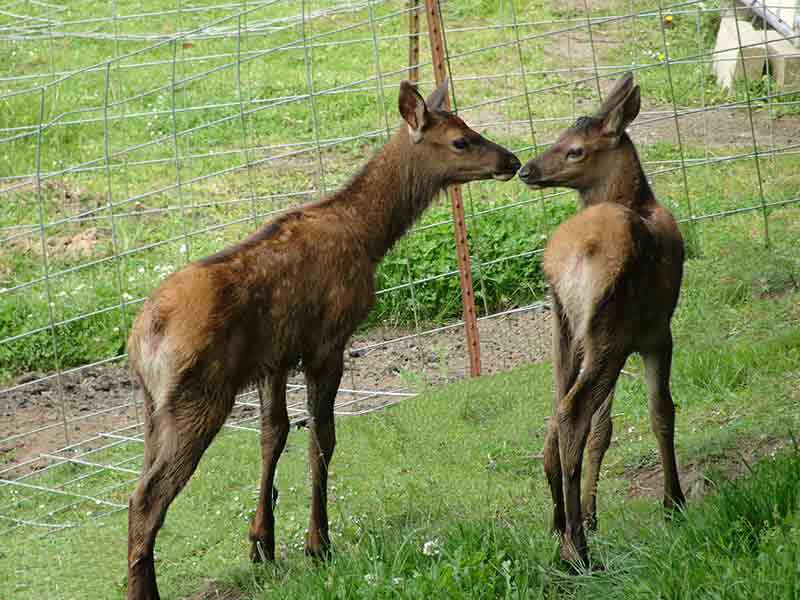 These are Roosevelt elk, which are the largest elk in North America. The bulls will grow to be 700 to 1100 lbs, and the cows will be around 600 lbs.